The iPhone and iPod touch are closely related — and not just because they look alike. Both devices run the same operating system and thus have the same key features: FaceTime video conferencing, support for Siri, iCloud, and iMessage, for example. But despite sharing many software features, the two devices are very different. You can see that by looking at them, of course, but the differences go much deeper than just the surface level. We compare the iPhone X series (including the X and XS), iPhone 8 series, and the sixth-generation iPod touch. We've omitted the iPhone XR budget-minded model. The camera is one the most important aspects of any mobile device these days. The iPhone offers hands-down the best option. If you've got a ton of music, lots of apps, or like to shoot a lot of hi-res photo and video, having as much storage as you can get is essential. The touch tops out at 128 GB of storage, while all of the iPhone models offer double that amount. Processing horsepower doesn't matter in quite the same way on mobile devices as it does on desktop and laptop computers. Still, having newer, more powerful chips is always better. The iPod touch uses the 32-bit A8 chip, which is now several generations old. The iPhones, on the other hand, use the latest chip, which can process data in 64-bit chunks, double what the touch can handle. The iPod touch can only access the Internet when there's an available Wi-Fi network. Not only does the iPhone connect to Wi-Fi, it also can get online anywhere there's phone service thanks to its 4G LTE cellular data connection. And though cellular data plans offer the iPhone more features and flexibility, it also costs more: iPhone users have to pay monthly service fees to their phone companies while iPod touch users don't have to pay any service fees. You can, and should, secure all of these devices using a passcode. Only the iPhone offers added layers of security, though. The iPhone 8 series sports the Touch ID fingerprint scanner built into the Home button, while the iPhone X debuted the advanced facial recognition system called Face ID. Apple Pay lets you buy things wirelessly, without ever taking your credit or debit card out of your pocket. But only if you have an iPhone. The iPod touch doesn't include the Near-Field Communication chip, or the Touch ID or Face ID features, required to use Apple Pay, so this tool is an iPhone-only option. Mobile devices are bound to encounter some mishaps from time to time, especially being dropped or getting wet. The iPod touch doesn't have much protection against the environment, other than whatever protection an add-on case might offer. The iPhone, on the other hand, is water- and dust-resistant to the IP67 standard, meaning the chances of those damaging elements getting inside your phone—even if you drop it in the water—are low. The iPhone XS is rated at IP68, which means it can survive immersion in up to 6 feet of water for up to 30 minutes. All of the iPhone models have larger batteries than the iPod touch, and thus they deliver longer life. If you're on the go a lot and have to wait a long time between recharges, having a bigger battery is a big deal. 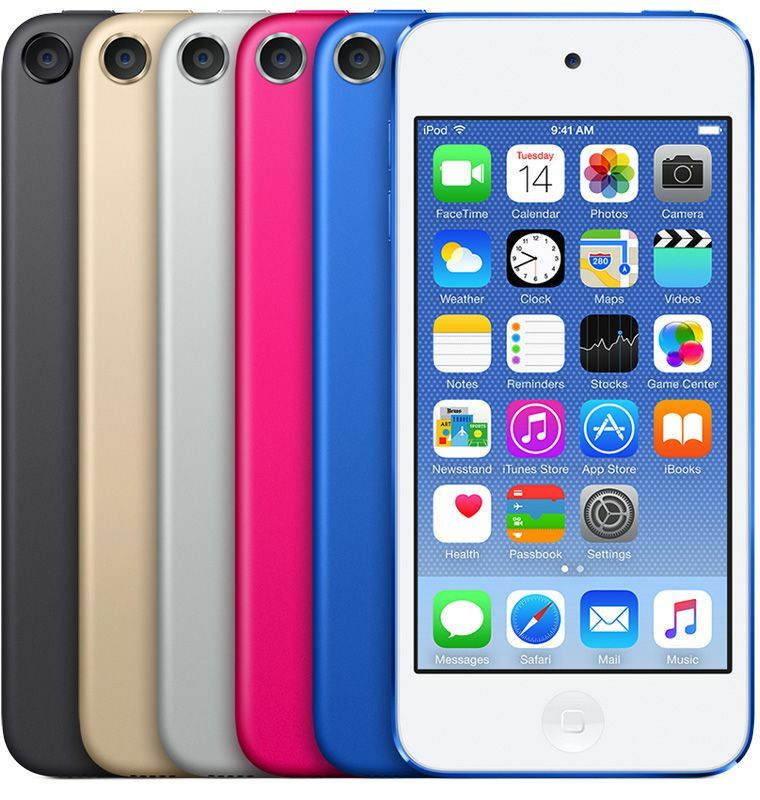 Perhaps not surprisingly, the iPod touch costs less than any current iPhone model—a lot less. An iPhone X costs $999 and up, while even the cheapest iPhone 8 costs $400 more than the most expensive iPod touch. And that's before you even factor in the monthly costs for phone and data service on an iPhone, which the touch doesn't require. You definitely get a lot with an iPhone, but compared to an iPod touch, you pay a lot, too. With the iPhone XS, Apple introduced a trade-in program unrelated to your carrier's pricing and trade-in program. If you've got a working Apple device in good condition, you can trade it in for a discount off a new iPhone. For example, a good-condition iPhone X will get you a credit of $500 off a 256 GB iPhone XS Max, which otherwise retails for $1,249 directly from Apple.